“Development of disability is so backward in Nepal. We can find disable sucking sanitary pad in Nepal itself. So how can we move forward in this sector of disability?” questioned Kunja Dahal, Chairperson, Baudhik Apangata Mahasangh. 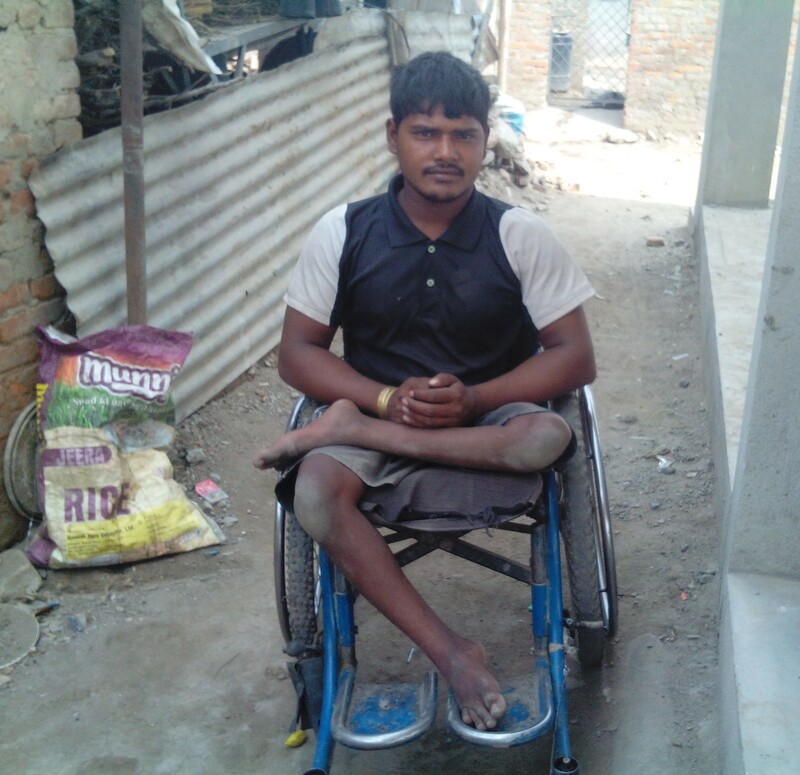 Physically challenged, Nikesh Paswan, a 25 year old man’s life is no different from the question raised. He was born with left leg deformity in a poor family residing at Sarlahi district. He uses wheel chair for the daily walk. He first stepped into Kathmandu district in pursuit of better life when he was just 5 year old boy with his uncle. Since then, he has been living in Bansighat, an urban squatter. His wife too is physically challenged. She has partial vision problem. As they both are physically challenged, both of them had no choice but to end up begging for sustaining the need of their family. Their 5 year old son Raj Paswan without any hesitation says his parents are beggars but will he be able to respect his parents profession once he is all grow up? Not just social aspect, economically too as theirs son is growing older, his needs are growing too but there seldom are times when they have enough money to even feed themselves. Paswan lingers on road for the whole day to earn NRP. 150 to 200 every single day but still he most often face problem to meet his daily ends. Paswan shared, “There are times when I do not earn at all and it becomes difficult because there is not much left for saving purpose. He indeed has a lot in his plate to worry about but looking at the brighter side, he wants his son to learn, become big person and most importantly not live like he is living now. After hearing his story, it seems like “sanitation and water for all, always and everywhere” is yet to be inclusive. Just writing it up in paper and documenting it is not going to work. There still are people like Paswan and his wife helplessly facing the hard life. There are people who are mentally disabled and we often tend to avoid them and their issues. Here, we need to understand that they are strong enough to go through the hardship. The things that really matter to them are respect, love, encouragement, direction, knowledge, and equal employment opportunity to name few. If these things are ensured then only can we achieve “sanitation and water for all, always and everywhere” goal.